The Sculpture Park in Farham features 800+ sculptures representing some 300 artists. Similar to Hannah Peschar Sculpture Garden, it is set on 10 acres and your admission comes with a handy self-guided tour booklet, including artist name, name of piece, materials used and the price. From the moment you arrive at the Park, contemporary and modern sculptures seemingly emerge from the somewhat wild landscape. Ceramic, bronze, cooper, glass, stone and wood are just some of the materials used in the various sculptures. The two-mile route is marked by colored arrows starting and finishing at the reception building that houses a small gallery. Along the way, there are strategically placed areas to sit, including raised wooden Thai huts and other areas to picnic. While there is not an onsite cafe, Bel & the Dragon pub is located directly across from the Park and you are welcome to leave and return to later in the day. While the pieces are not grouped by artist, you'll quickly notice multiple pieces created by the same artist. It is worth keeping track of those that catch your eye, there may be a smaller, more budget-friendly version available for purchase in the gallery. If you are in the market to buy a full-scale piece, The Sculpture Park is one of the only sculpture specialists in the UK. With 2,000+ pieces available for purchase and delivery anytime of year, there is something to suit everyone's taste. Lastly, since new pieces are added when others are sold, there is truly 'always something new to discover'! Buckingham Palace : Fortnum & Mason — The State Rooms, Buckingham Palace is open for two months every year (July 21- September 30, 2018). Alternatively, you can watch the Changing of the Guard ceremony every Monday, Wednesday, Friday and Sunday (10:45 am - 11:30 am). 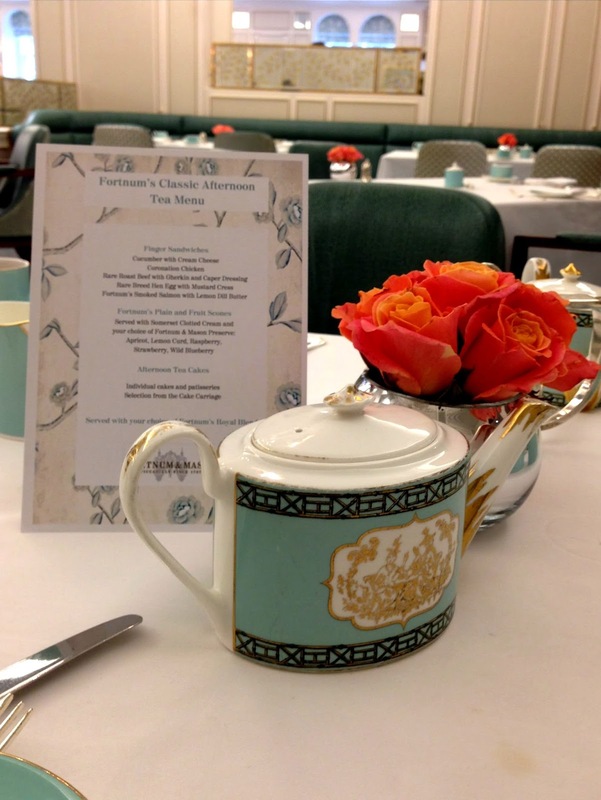 Walk 13 minutes to Fortnum & Mason to enjoy a traditional afternoon tea in the The Diamond Jubilee Tea Salon. 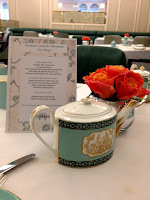 Fortnum's will also offer a special Wedding Breakfast Tea to celebrate the wedding of Prince Harry and Meghan Markle on Saturday, May 19th. The Science Museum : Ampersand Hotel — The Science Museum has a vast collection of over 300,000 items. These include medical, scientific and technical advances from around the world — many that are one-of-a-kind. Similar to other museums in London, entry is free (charges apply for IMAX along with some activities, events and special exhibits). Walk 5 minutes to the Ampersand Hotel to enjoy their hands-on, interactive Science Afternoon Tea — fun for kids and adults too. Shakespeare's Globe : Swan — The 2018 Banned & Censored Plays season (April 25 - October 20, 2018) features classics like As You Like It, Hamlet and Othello. To make the most of your visit, schedule time for a Globe Theatre Tour and Exhibition beforehand followed by a Midsummer’s Night Dream afternoon tea afterwards at the on-site riverside restaurant, The Swan. They even offer a savory-based Gentleman’s Afternoon Tea option complete with a glass of ale. Blacks Burgers — With over 25+ toppings to choose from, you can truly customize your burger. If you manage to save room for dessert, they also make their own gelato that is available on its own or part of five different milkshake concoctions. In addition to multiple locations in Surrey, The Blacks Express Bus imported from New York is available for hire. Phil You Up — Ranked the top place to eat in Leatherhead and considered among the top 10 ‘restaurants’ in Surrey, the Phil You Up truck resides in the B&Q parking lot. In addition to traditional burgers, the menu includes pitas, sandwiches and wraps. Joe’s Special with Cajun glazed chicken, avocado, brie and mayonnaise is not to be missed. 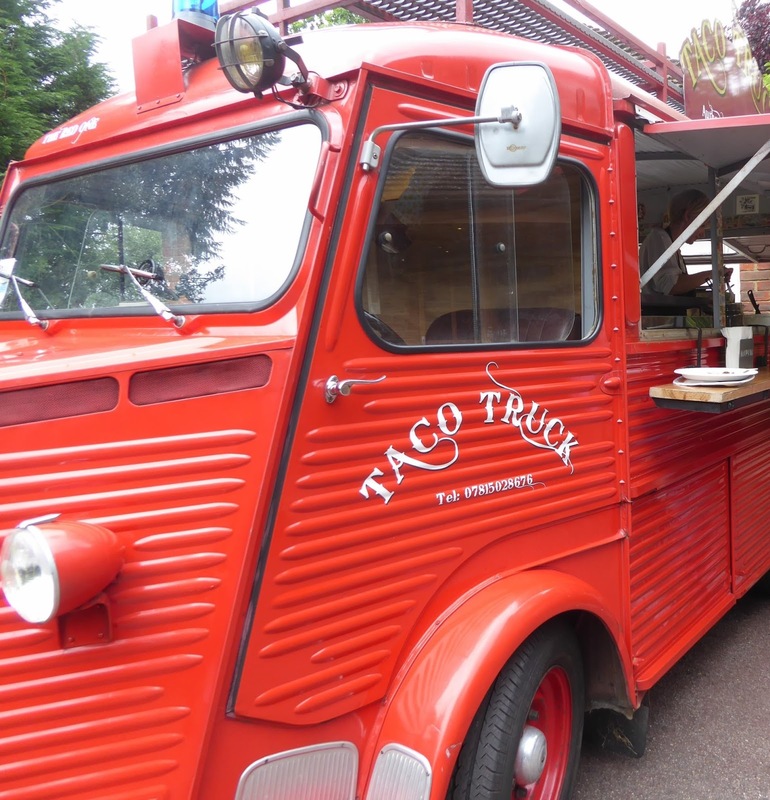 Taco Truck — The bright, red. 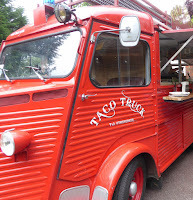 Citroen fire truck serves up Mexican street food, including chicken, chilli con carne, fish and veggie tacos. As a truly mobile kitchen, you’ll need to follow them on Facebook to find them at public events and festivals or hire them for your next function. You can, however, have their specially made chilli sauce Guau (Spanish for ‘woof’) delivered to your door. With a good chance of rain still in the forecast, get up close and personal with five of the most famous people in British History while staying dry. Jane Austen : Jane Austen’s House Museum (Chawton) — The Grade I listed building is considered one of the most important literary sites in the world. Austen spent the last eight years of her life and where she is said to have completed six novels. The Museum includes Austen family items, including original pieces of furniture (the most striking is the small table where she wrote her novels), books, jewelry, and textiles. Winston Churchill : Churchill War Rooms (London) — As part of your admission, there is an audio tour (adults have a version and kids have their own version). In addition to this technical gadget, there is a lot to see and do for young kids and older teens. It is incredibly well-organized with interactive, interesting exhibits and actual rooms that have been untouched since 1945. Because it is part of a working government building today, it is a bit of a maze to walk through (keep your kids close since there is no cell signal). Charles Darwin : Down Home (Downe) — Down House maintained by English Heritage is where Charles Darwin spent 40 years of his life with his family. The award-winning exhibition highlights Darwin's life's work and features the study that has been left intact from Darwin’s time. There is a multimedia guide for Darwin's family rooms and friendly, knowledgeable staff. 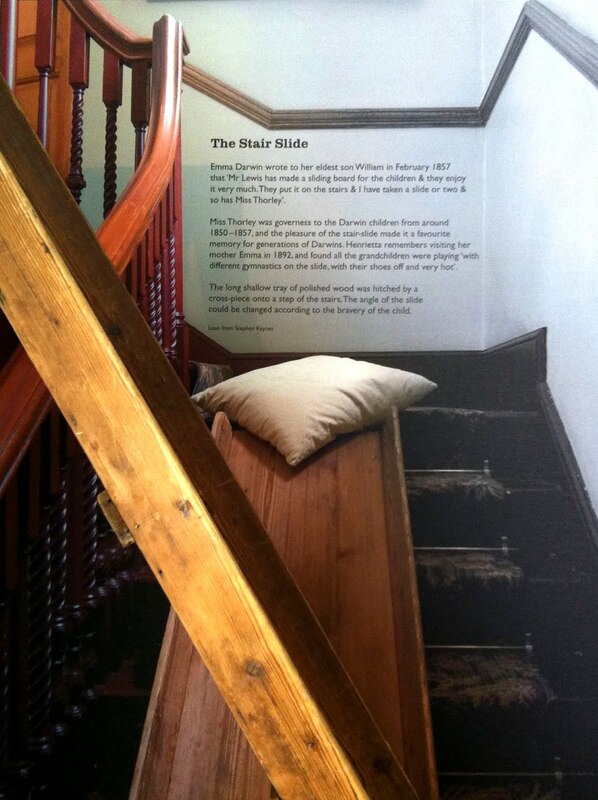 It is worth visiting the garden where Darwin’s children helped test his theories and you’ll see the ‘stair slide’ that was put in place for them to enjoy — mark of a true genius! 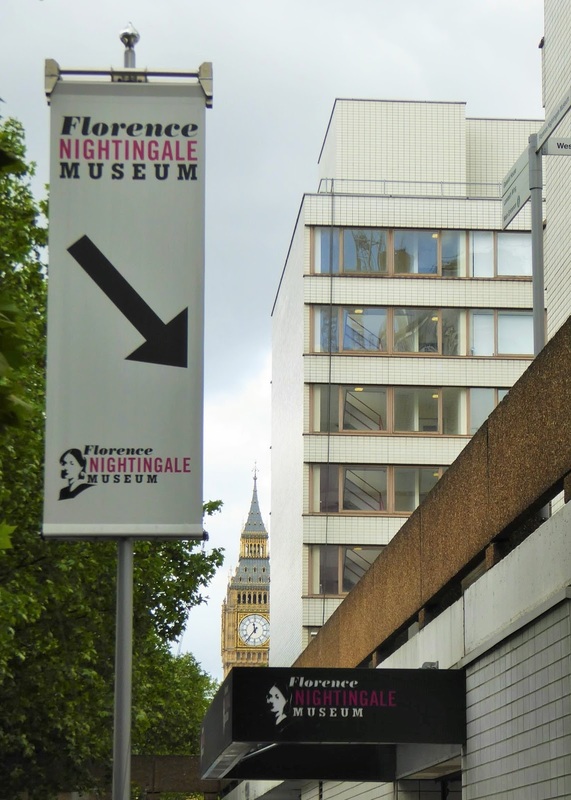 Florence Nightingale : Florence Nightingale Museum (London) — This small, compact museum is traces the life and work of Florence Nightingale, pioneer of modern nursing. It features a collection of artifacts and memorabilia, including the famous lamp which earned her the nickname ‘The Lady of the Lamp’ and even her pet owl she had while visiting patients. Free 15-minute public tours are included in the price of admission on Tuesdays (except during school holidays).